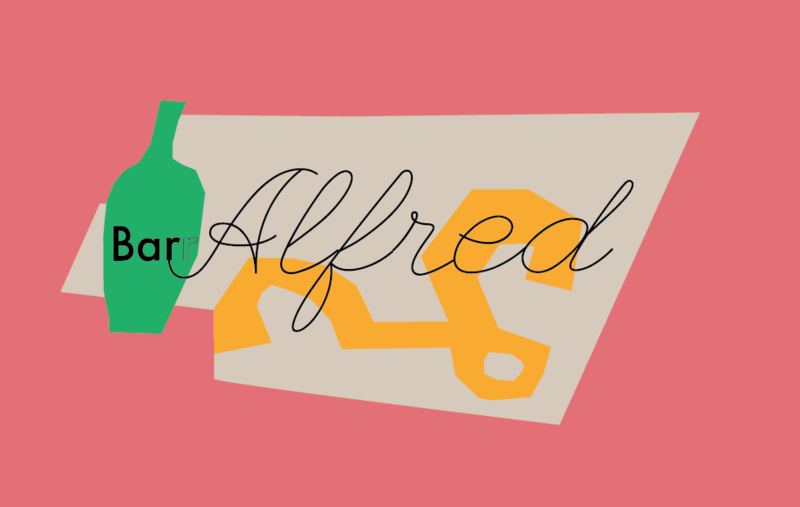 Bar Alfred Located at 7 E 64th Street, in Enright House. In 1943, Enright’s closest friend and the man who introduced Enright to art, Alfred Barr, was “fired” from his position as director of MoMA. This came as quite a shock to Enright since he was on the board. MoMA’s chairman Stephen Clark worked with board president Nelson Rockefeller* and forced Barr to resign his post. Outraged by this, Enright resigned from the board. 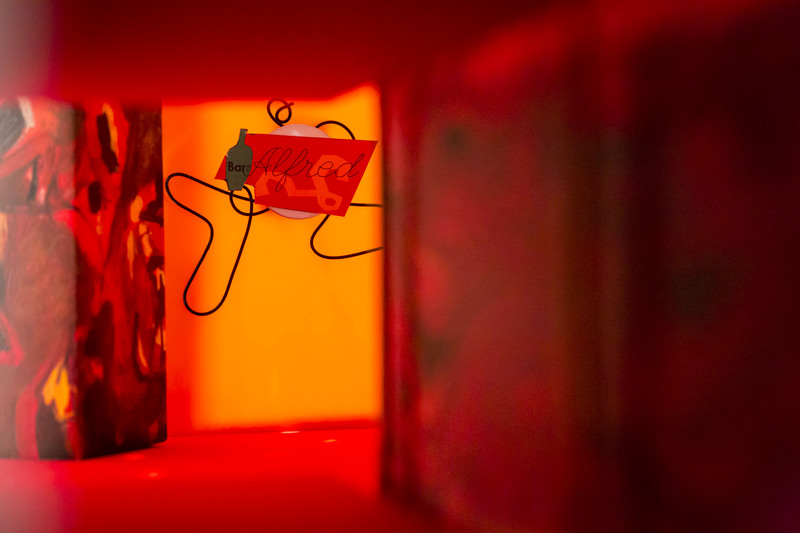 As a gesture of friendship and alliance, Enright quickly called upon interior designer George Stacey and artist Arshile Gorky (one of Barr’s favorites) to create “the best” bar/club in the city. 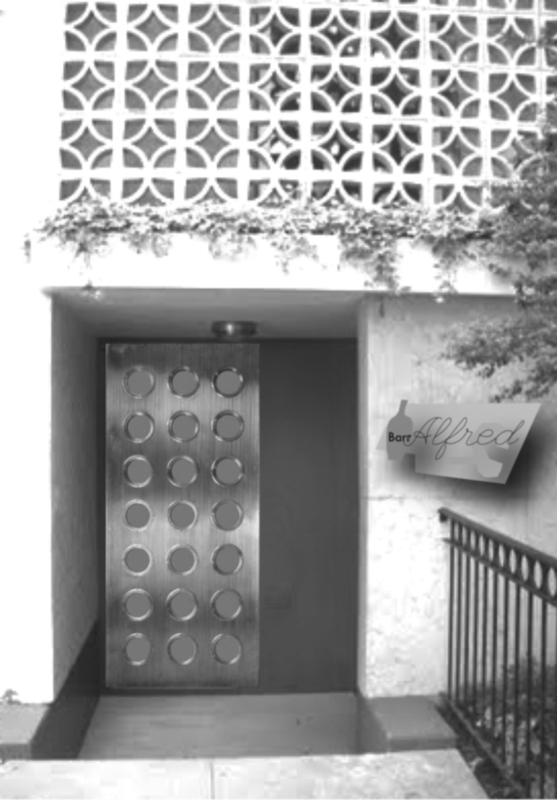 Within five months, the club was opened and named Bar Alfred in honor of Alfred Barr. Enright wanted everyone to know the name Alfred Barr. Front door of Bar Alfred on 63rd Street (between 5th Avenue and Madison Avenue), date unknown. Artists Franz Kline, Willem de Kooning, Lee Krasner and Robert Motherwell were all regulars and all collected by Enright. These celebrated artists always seemed to gravitate to the cozy back room of Alfred’s and were mesmerized by the glamorous and sophisticated regulars. To assure they were seen the Hollywood celebrities always stayed as close to the front entry as possible, while the society folk were always in the secure inner sanctum of the Gorky Mural Bar. 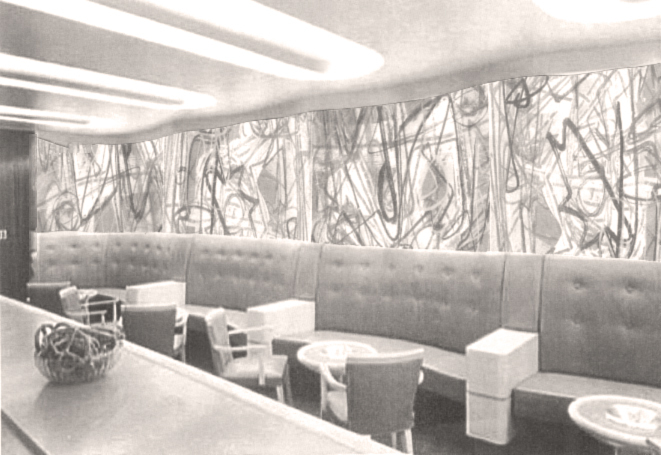 Bar Alfred became the most exclusive club in the city from 1943 – 1963. Residents would enter through a private entrance at the back of the lobby. 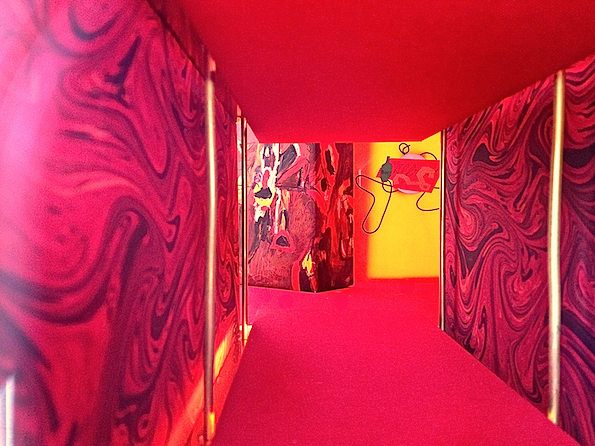 Entry – showing floating floor and red ceiling with brass poles. *While Enright was very rich, no one at that time would have guessed that over the next 30 years he would amass what was probably the greatest and most important collection of modern art in private hands. Because of the dismissal of Barr, Enright never stepped foot back into MoMA, and thus, they lost one of the greatest collections to the Philadelphia Museum of Art. Enright worked with Howard Roark for eight years designing the Enright Wing at the Philadelphia Museum. Ironically, Barrs successor at MoMA was Rene d’Harnoncourt whose daughter Anne d’Haroncourt was Director of the Philadelphia Museum of Art from 1972 – 1982. Copy of a drink menu from Bar Alfred at Enright House.